/ Automated Income Sites Review – Is It A Scam? Automated Income Sites Review – Is It A Scam? I came across Automated Income Sites after receiving an email titled “Your Lucky Video”. After sitting for 30 plus minutes and taking in what this video and system had to offer, I felt the opposite of lucky and that my time had been wasted. Ultimately, Automated Income Sites is a website that promises fast and easy riches with minimum work required. 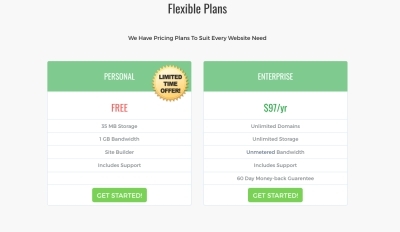 In the end, they are trying to get people to purchase one thing – questionable website hosting known as Host For Free. We do not recommend this product and we will show you why just below in our Automated Income Sites review. Tired of having your time wasted? Get my personal help in building an income from home through safe, worthwhile training. Automated Income Sites implies that by using their system, you are guaranteed to earn $1,000 per day. All you have to do is activate your account, follow the “teams” directions, and leverage the system 30 minutes per day. It’s important to note that this kind of language is commonly used amongst scam websites. We’ve reviewed many similar sites in the past and it never fails to turn out as a low-end, low-value product, or just an outright scam when people make these claims. Quality training doesn’t look like this, as we explain below. Be wary of these phone calls as it is more than likely someone who will ask personal financial questions (in a slick way) just to get an idea of how much more money they can get out of you. I say this because I’ve had people reach out to me after having this happen to them. Use caution and ensure you know exactly what it is you are purchasing beforehand. At the end of the day, Automated Income Sites seems to be one huge sales pitch for website hosting. The quality of the hosting is hard to say. You can sign up for Host For Free at no cost as they have a free option, but they do ask for some personal info which is as far as I got. As you may have noticed above that Host For Free normally charges $97 for one year of hosting. This is the same exact price that Automated Income Sites is asking for the one year of hosting and the awesome system that puts $1,000 into your pocket each day in exchange for 30 minutes of work. The person(s) behind Automated Income Sites are likely gaining a commission for promoting the hosting, that or they own it themselves and are promoting it. One major problem I have is that I’ve never seen website hosting being offered through a third party seller, Clickbank in this case. The entire thing draws too many red flags. In my opinion, Automated Income Sites is willing to say anything, including how simple it will be to make $1,000 each day, and all you need to do is make a one time $97 purchase. Websites like Automated Income Sites focus on selling people on the possibilities while failing to give demonstrate or show exactly what it is we are buying. If someone came to your door with a large unmarked box and told you that for $97 it will change your life by producing $30,000 per month, you would look at them as if they’re crazy and likely slam the door shut on them. You’re left in the dark on what these “automated websites” look like for a reason. It’s a low-grade product and such sites do not exist. Why Does AIS Even Exist? As mentioned earlier, it’s likely that they are attempting to make a profit by selling the Host For Free hosting to others. I’d also like to point out that a lot of time and energy goes into putting together these websites. They appear to come off as good guys who have all of the answers to your financial problems when I can assure you they don’t. It should come off as clear by now that earning money online doesn’t happen at the click of a button nor will any one system hand you thousands of dollars month after month while you sit back and collect. There’s real work involved, but earning money online is completely possible, regardless of your gender, age, background, etc. And this is something that we help people do here at Extra Paycheck Online. For my personal help, quality training, access to experienced online business owners, and much more! I suggest checking out Wealthy Affiliate, a safe and positive place to learn. Not to mention, you can get started with the hands-on training without pulling out your credit card. This way, you can get an idea if the training and platform are right for you before spending a dime. Get started and create your free Wealthy Affiliate account here. For obvious reasons, we decided not to purchase Automated Income Sites and do not recommend this system. You have the freedom to pursue any item of your choosing. If you think 30 minutes of work per day will translate into $1,000 days, every day, you got one huge surprise in store for you. Like anything worth doing, hard work and commitment always pay off. Especially when it comes to earning money online. My goal for this website is to help those who are looking to make money online from the comfort of their home and to offer people an alternative to the FIXED 9-to-5 life. Whether you are looking to make full time income online or just looking to make some extra cash. I've got you covered. Affiliate Disclosure: There are affiliate links placed throughout this website, Extra Paycheck Online. Most of these are tools that I use every day in my own business to make money. You can “cut me out” by going directly to the source, if you prefer (you’ll pay the same price).